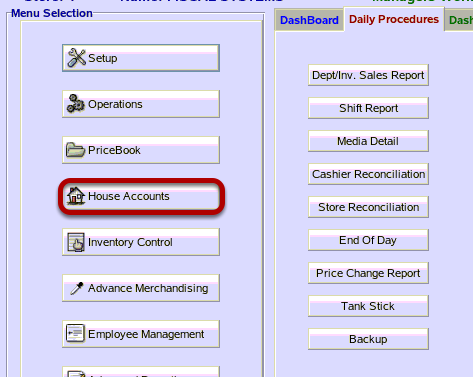 TravStar1 Point Of Sale SystemManager's Work Station House Account ManagementHow Do I Add an Invoice to a House Account? 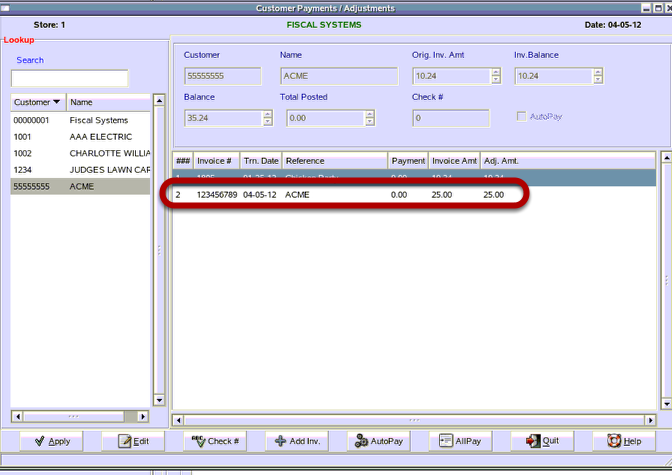 This lesson will teach you how to add an invoice to a house account on the Manager's Work Station. Click on the "Add Inv." button. 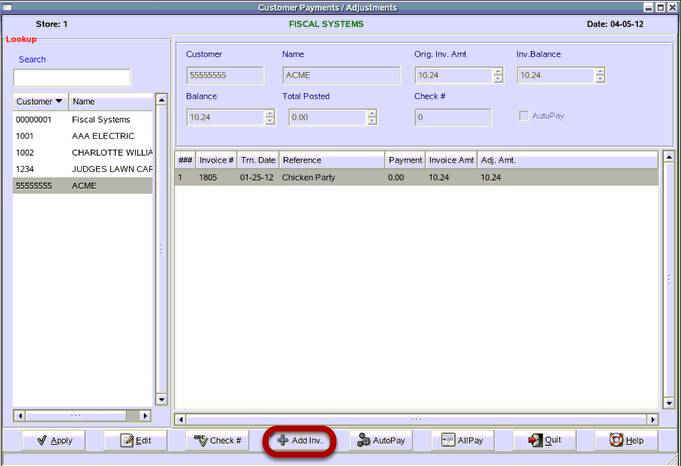 (1)The Reference # field is normally used to enter the invoice number (It can be left blank if needed.). The Entry Total can be entered by using the arrows on the right to increase or decrease the amount of the invoice, or you can clear the field with a backspace and type the amount. If there is a payment discount that needs to be applied, type that amount in the Payment Discount box. 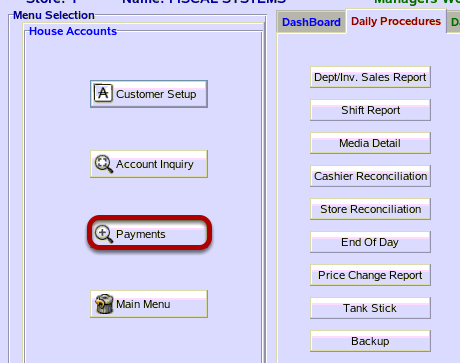 To change the Due Date, use the Payment Days box arrows to increase the number of days until the invoice is due. As you do this, the Due Date will change accordingly. 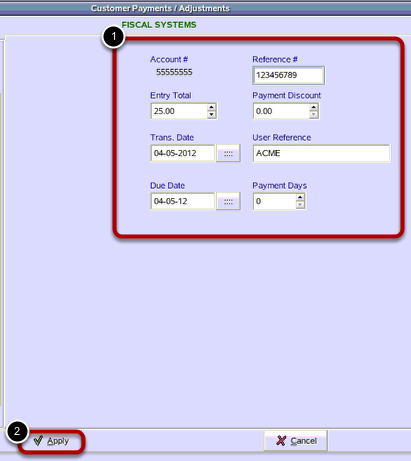 (2) Click on the "Apply" button to save the invoice entry to the account. Prev: How Do I Make a Payment on a House Account for a Specific Amount? Next: How Do I Add a Credit to a House Account?